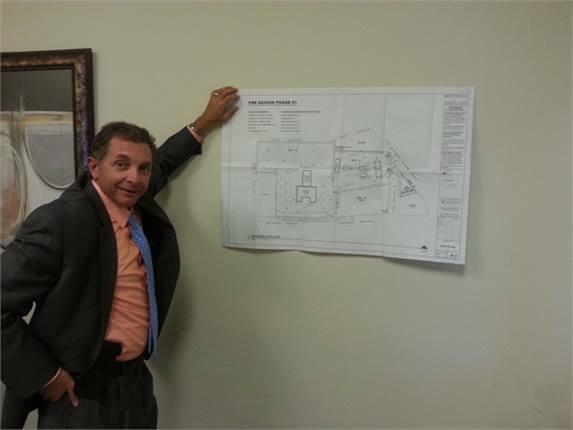 Sal Milazzo holds up the floor plans for the new 25,000 sq.-ft facility where Windy City Limousine will build its new fleet headquarters and refueling station. 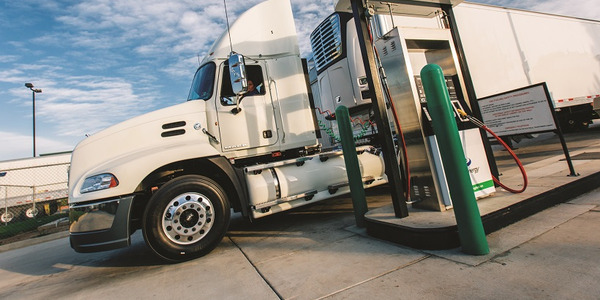 Windy City Limousine in Chicago, Ill., will convert a total of 200 fleet vehicles, including company sedans to propane autogas and its larger mini-coaches to compressed natural gas (CNG) fueling systems. 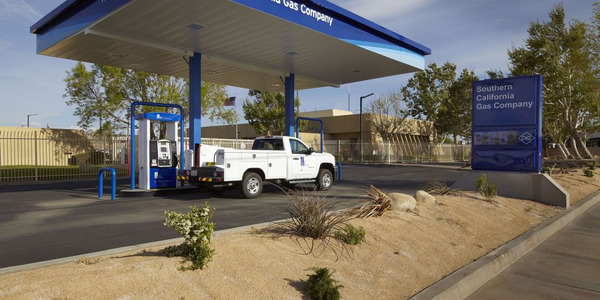 The company is currently transitioning to a new headquarters location where, in 2014, it will build a fueling center on two acres, enabling its fleet vehicles to replenish fuel quickly and efficiently. 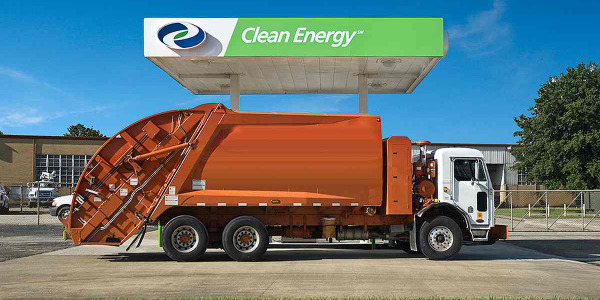 The new facility will have underground tanks for a gasoline fuel station and above ground tanks for the propane autogas and CNG fueling stations. 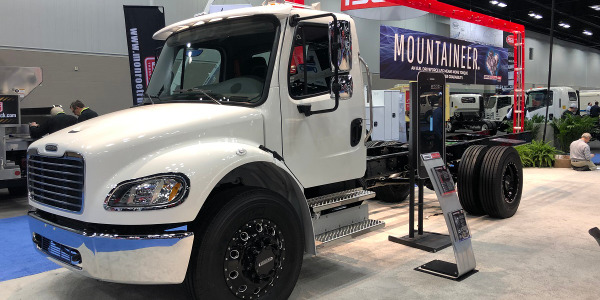 Factoring in a rebate for the conversion, the company will recoup its investment in about two to three months on each vehicle, said Sal Milazzo, vice president of Windy City. 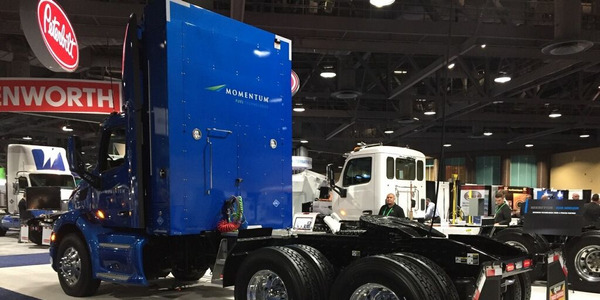 As Windy City's vehicles undergo the conversion process, they retain their gasoline fueling system , allowing them to fuel up with regular gasoline in case the propane autogas or CNG runs out. 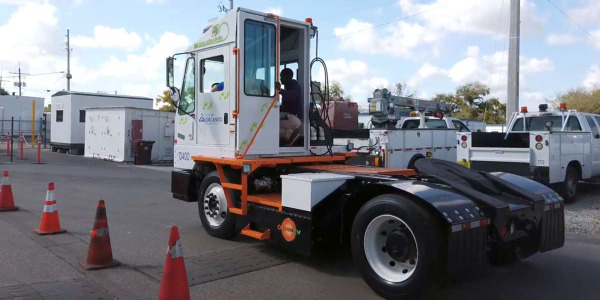 Milazzo thinks it will take about five to 10 years before it will make the full switch to dedicated CNG and propane autogas vehicles. 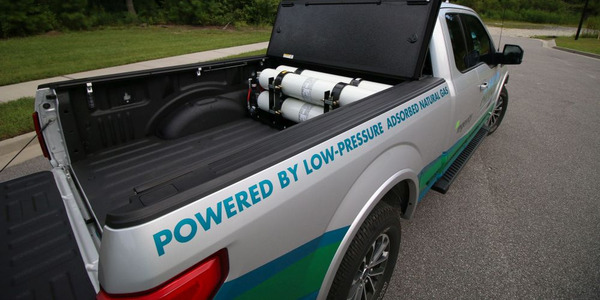 The propane autogas tanks fit into the trunk of the sedans, but are positioned on the ceiling of the compartment so that luggage space is not compromised. 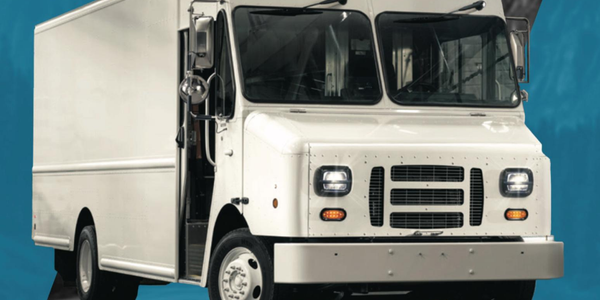 For safety, each of the propane autogas tanks has a safety shut off valve that can be switched off in the event of an accident. 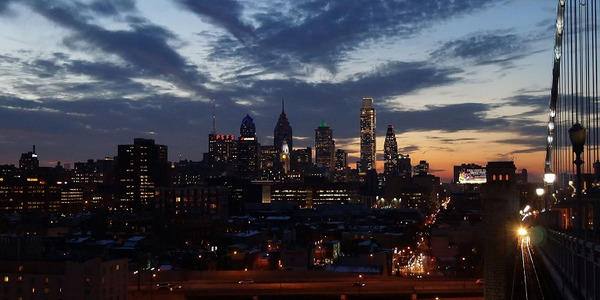 Milazzo said the company ran a fuel conversion pilot program, begining in November 2011, to determine whether adding alternative-fuel systems would provide a return on investment. He first analyzed the fuel efficiency of the vehicles in the pilot by using GPS tracking to optimize routes and then through alternative fuels to further optimize fuel use. The goal is to have 100 vehicles converted by the end of this year and to have construction of the fueling facilities finished by 2014.